Join us! Everyone is welcome to worship our Lord Jesus Christ. Come hear God's Word through scripture reading, inspired preaching, and beautiful music. Whether you prefer traditional or contemporary services, we are waiting for you every Sunday morning. 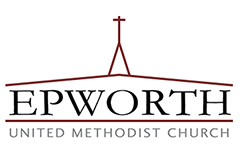 Epworth also marks the seasons of the church year with special services such as Christmas Eve, Ash Wednesday, and Maundy Thursday. We invite you to walk with us on your faith journey.